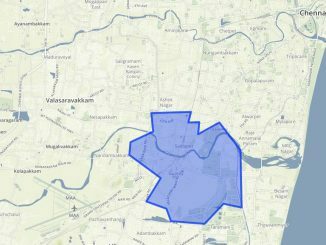 Virugambakkam is a new constituency formed in 2009 which was carved out of Villivakkam and Alandur constituencies. B Parthasarathy of DMDK became the first MLA from here in 2011 by winning 71524 votes. It is a residential neighbourhood which also houses famous movie studios and one of the largest fruits and vegetable market in Asia. 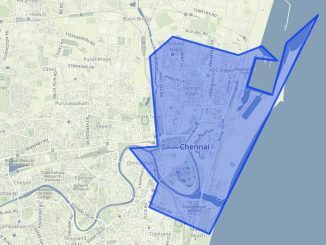 The constituency consists of Virugambakkam (North), Virugambakkam (South),Saligramam, Kodambakkam (North), and Kodambakkam (South). B.Parthasarathy, started out as a district secretary for actor/DMDK leader Vijayakanth’s fan club in 1985 and gradually rose to the position of DMDK’s Secretary. In the 2011 elections, Mr. Parthasarathy won 71524 votes, defeating DMK candidate K. Thanasekaran by 14,094 votes. 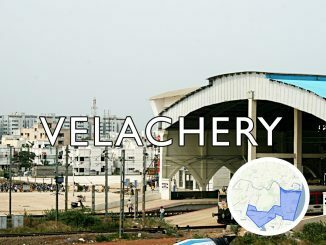 Mr. Parthasarthy who hails from Egmore runs a travel service. In December 2015, he was among the 18 DMDK leaders arrested for assaulting journalists who were protesting against Vijayakanth. What he said in 2011: The major issues reported are the widening of Kaliamman Koil Street, Virugambakkam Canal maintenance, sewer backflows, poor road, electricity cable glitches and garbage disposal. “I am very familiar with the civic issues and people’s grievances,” and “am looking forward to the budget session to highlight these.” Mr. Parthasarathy said that MLA LADs (Local Area Development Scheme) fund would be used for building community halls and other basic facilities based on the priorities of the residents. “We have chalked out plans to visit every ward on specific pre-announced dates to collect grievance letters,” he had said. BJP fields its State president Tamilisai Soundararajan in Virugambakkam. Tamilisai, a medical doctor, is the daughter of Senior Congress leader Kumari Anandan. She secured 7,048 votes in Velachery constituency in 2011 Assembly elections. Soundararajan has recently been in the news for insisting that the election commission should make it mandatory for all candidates to take an oath at the time of filing nominations, pledging that they will engage in an ethical contest and not allure or bribe voters. He was the councillor of MGR Nagar ward. According to him, roads, drainage problems and the mosquito menace are critical issues faced by the residents. “I’ve already got land patta for most people in MGR Nagar and if I win I will get land patta for the people who live in Indhra Nagar, Gandhi Nagar and Sadhik Basha Nagar,” he promises. Mr. Dhanasekaran runs a security service agency and is also involved in the real estate business. The constituency which lies between Adyar and Cooum rivers, was one of the severely affected areas during the December floods. The poor maintenance of Virugambakkam canal, an important flood retention structure, was one of the main factors that contributed to flooding in the area.The residents of the area fume over the closing down of another canal, which had helped to channel floodwaters into the Virugambakkam canal, to make way for the 17-acre housing project for IAS officers in Nerkundram. Chaotic traffic remains another issue of perennial concern for the residents. Residents of wards 132,133 and 134 wards in Kodambakkam say that the incumbent MLA did not visit their wards and they had no way to voice their increasing list of concerns. Residents complain that the Public Distribution System (PDS) and other government schemes are not reaching them. Residents of Akbarabad Street said that the ration shop in the area distributed goods only for 8-10 days every month, and most often they had to get rice, sugar, kerosene and pulses from other shops at higher prices. “The ration-shop owner says that only food items for 850 families are available at the shop, and we are turned down most often,” says Selvi M, a shop-owner. According to Selvi, those who complain are denied access to PDS for several months, and hence no one dares to open their mouth. B Muthukrishnan, a vegetable vendor, said that they were not provided the allotted quantity of food items at the ration shop on grounds of loss during transportation. “Distribution of pre-packed goods at ration-shops by the government would ensure that such loss is avoided,” he suggested. The government school in the area, according to residents, is violating the RTE Act, demanding fees from students and does not provide free uniforms or text books as available under government schemes. They said that the number of teachers and sanitation at the school also need to be improved. “ The bags distributed by the government last hardly for a month,” says Banu D, mother of a 7th standard-student from Kodambakkam. Another issue raised by the residents was difficulty in getting community certificates. “Most often the children are not issued backward and SC community certificates. This affects their education and employment opportunities, said Jaya S, a flower vendor. The residents also complained that the Corporation did not clear garbage from the area regularly. The garbage issue has also resulted in street dog menace in the area. 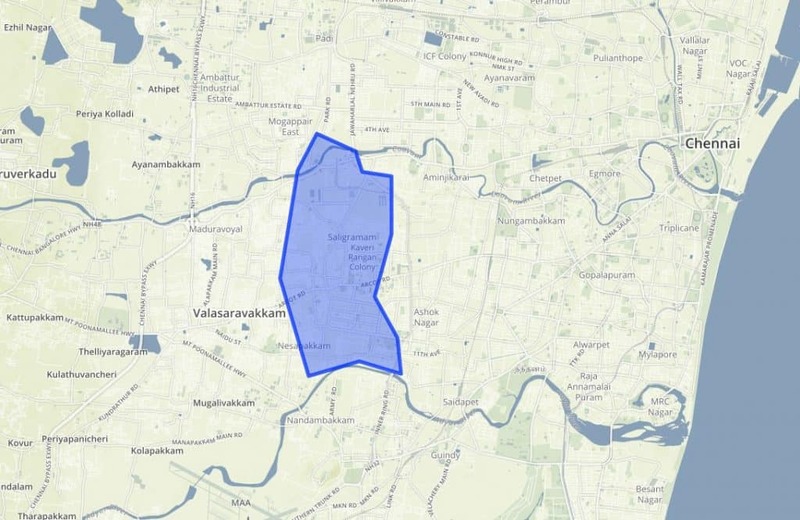 The residents’ associations from Virugambakkam constituency has also prepared a list of their demands to bring them to the attention of the contesting candidates. Lack of sanitation, mosquito menace, and clogged sewerages are other issues that trouble them.